Join us for a time of gathering and getting acquainted following Sunday morning worship. Periodic gatherings for all to enjoy fine food while we fellowship in a relaxed atmosphere. Sunday afternoons or evenings during Advent are a special time for the church family to prepare together for the celebration of our Lord's birth. Come for a light meal and program. Throughout the year you can get involved in collecting items for a special appeal such as helping to stock the shelves of The Anchor Food Pantry, making a meal for the Interfaith Partnership for the Homeless, pack a shoe box for Operation Christmas Child, or raise funds by walking to support the efforts of Church World Service as we walk with others in the CROP Walk where 25% of the funds comes back to the Anchor Food Pantry. These are just a few ways to impact our world both near and far. Or perhaps you are more interested in putting your skills to work and help out with maintaining the grounds both inside and out or going on a mission trip to the far reaches of India. Events at ERC are a great way to connect with others, make friends, and discover that church is much more than a worship service on Sunday morning - it is community. 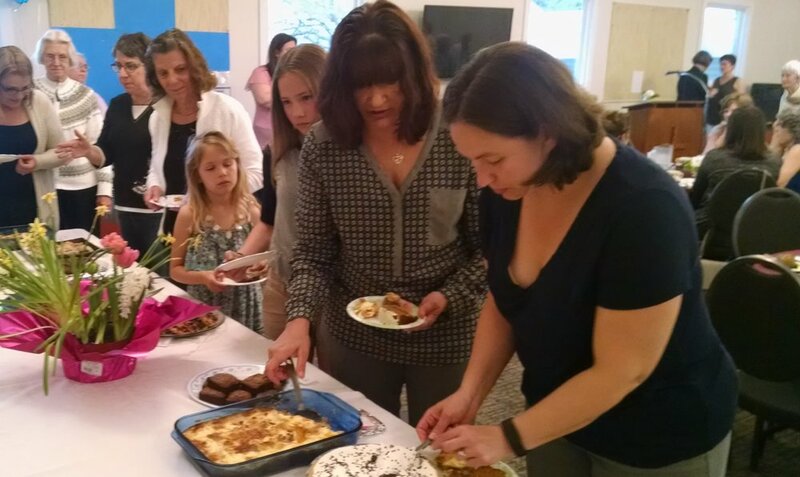 A big part of the fun of church dinners happens in the kitchen. 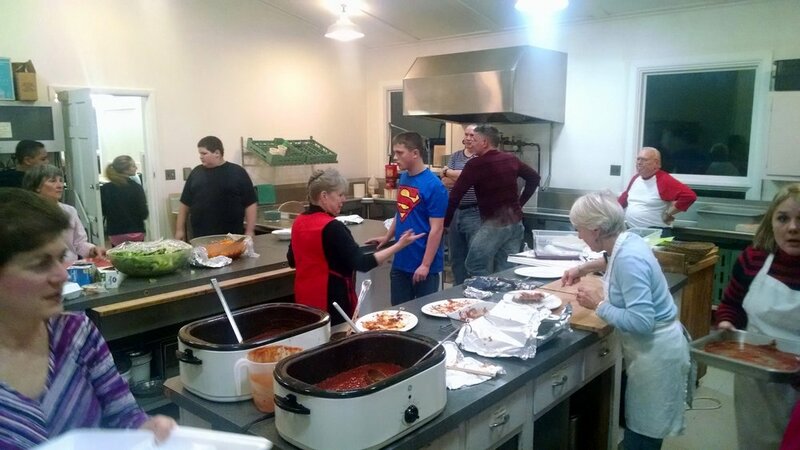 ERC serves dinners throughout the year.